Enhancing the strength and thermal conductivity of A319 aluminium alloy powertrain components can reduce instances of premature failure, by resisting or alleviating thermal stresses that develop during engine operation. These properties can be manipulated theoretically through microstructural control, for example via variation of the alloy solidification rate. Although increasing solidification rate has been observed to achieve improved mechanical properties, its influence on thermal conductivity is yet unclear. In this study, A319 alloy was cast with a succession of solidification rates by using a permanent mould preheated to a range of temperatures. The as-cast samples were comprehensively characterized in terms of their dendritic structures, secondary phase morphologies and area fractions, porosity, ultimate tensile strengths and Rockwell hardness values, and thermal conductivities, the latter of which was measured via the transient plane source method. The results demonstrated that refinement and other changes in microstructure with increasing solidification rate promoted no noticeable variation in thermal conductivity, despite improvements to strength and hardness. Thus, solidification rate can be controlled effectively to design the mechanical properties of A319 components without detriment to its thermal properties. The authors are thankful to the Natural Sciences and Engineering Research Council of Canada (NSERC) for the award of the Canada Graduate Scholarship to Eli Vandersluis and for financial support of this project. 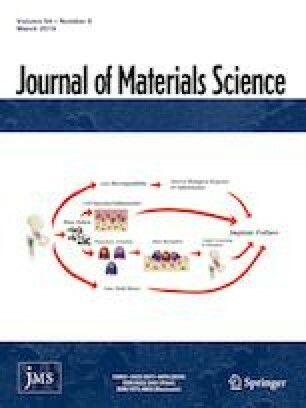 The authors are grateful to Alan Machin, Payam Emadi, Dr. Anthony Lombardi, and the members of the Centre for Near-Net-Shape Processing of Materials (CNPM) at Ryerson University for experimental assistance and support. Further, the authors would like to thank Thomas Warren of Gamma Foundries Inc. for the chemical analysis of samples. Additional raw/processed data required to reproduce these findings cannot be shared at this time, as the data also form part of an ongoing study.